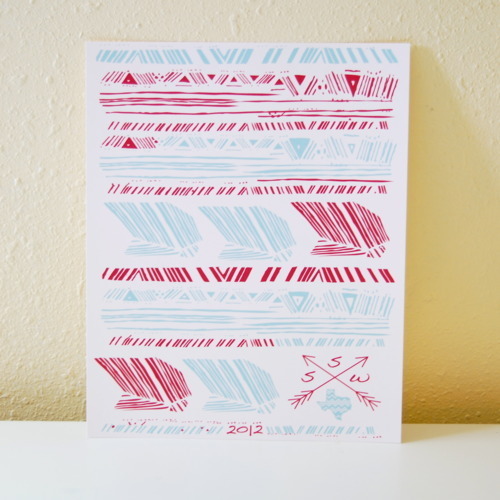 two commemorative SXSW MMXII posters! 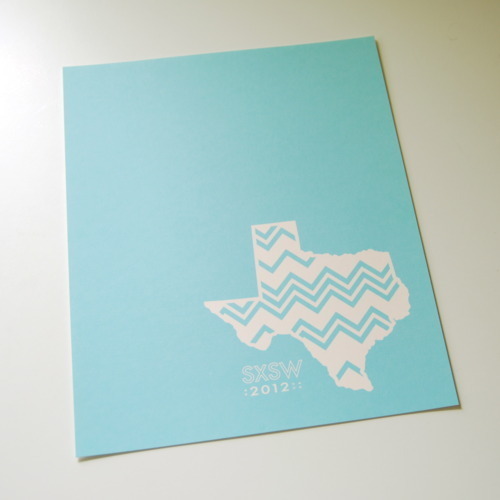 the chevron texas edition is a beautiful teal and cream doozy and the arrow edition is dark fucshia and seafoam—-and they’re both aching to be up on your wall. you can get them both on our Etsy shop, or pick them up at Parts & Labour on south congress while you’re running around austin like a crazy person! we have to go deliver this stuff now so we can run around austin like a crazy person!